This summer, the Mill River Greenway Initiative partnered with the Connecticut River Watershed Council and Grow Food Northampton to survey a portion of the Mill River off Meadow Street for invasive plant species. As a Botanic Garden intern, I heard about the opportunity to learn more about invasives from my supervisor, Gaby Immerman, who also serves on the Board of Grow Food Northampton (GFN). 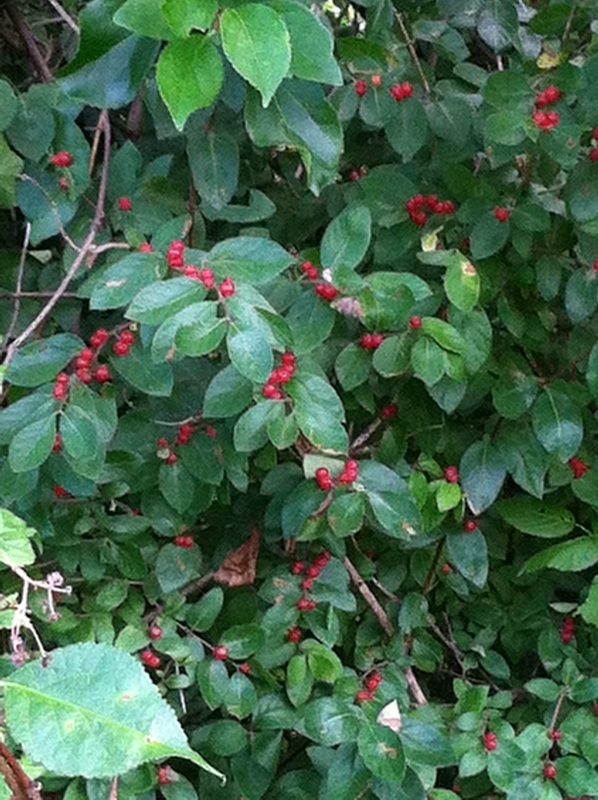 The main focus of the collaborative event was to teach local gardeners to identify early detection species- species that have the potential to become big problem species, like oriental bittersweet (Celastrus orbiculatus) or multiflora rose (Rosa multiflora), but which have not yet gotten well established in the wild. Removing these species when they are found can often help stop more non-native unvasives from gaining a foothold. 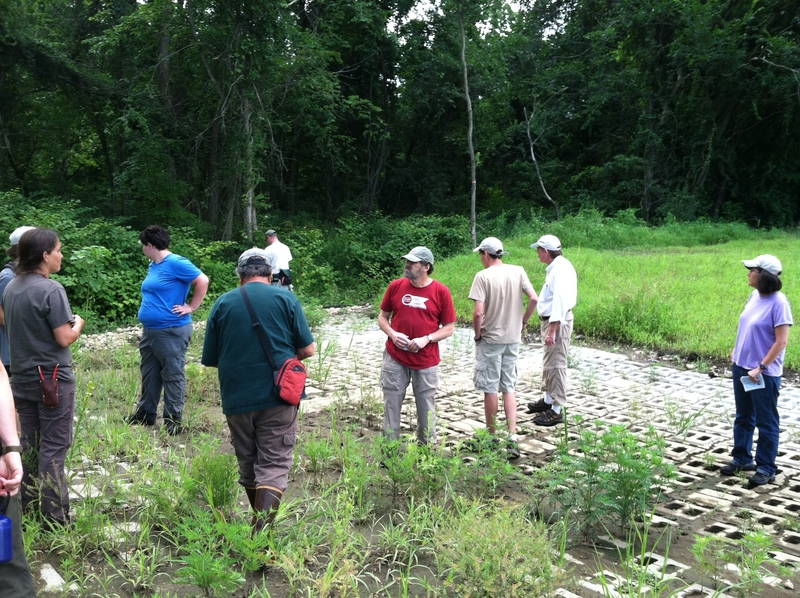 The three early detection species that the training focused on were: Japanese stilt grass (Microstegium vimineum), Mile-a-minute vine (Persicaria perfoliata), and giant hog weed (Heracleum mantegazzianum). What better way to learn about invasives than to go out with experts and find and identify them in the field? 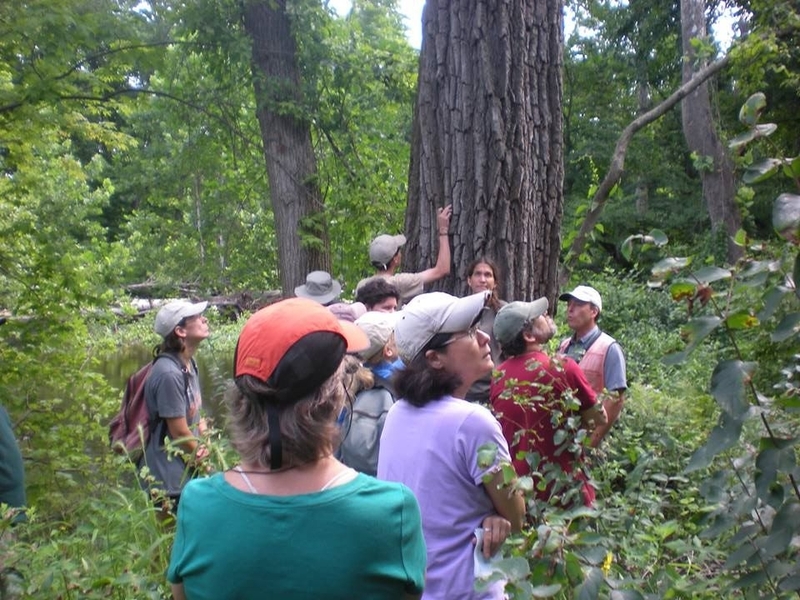 After the talk everyone walked out to the Mill River Greenway and began searching the landscape for invasive species. We did find some of the more common invasives such as tartarian honeysuckle (Lonicera tartarica), Japanese knotweed (Fallopia japonica), and Japanese barberry (Berberis thunbergii). Some areas of the greenway were more densely packed with invasive species, and the differences were compared. One area that appeared more recently damaged and cleared by flooding had a few invasive species, mostly seedlings, sprouting. Interestingly, a stand of mature trees above the flood line had almost no invasive species whatsoever. All in all it was an good day, and one that provided all the participants with a few more community connections, a bit more experience in correctly identifying invasives, and some new tools for engaging in the fight against non-native invasive plants.